We are offering Nine 9 Precious Gemstones with good quality,making & polish. We are wholesale manufacturer of Nine Precious Gemstones. We manufactures Nine Precious Gemstones in many kind of Shapes, sizes and cut. 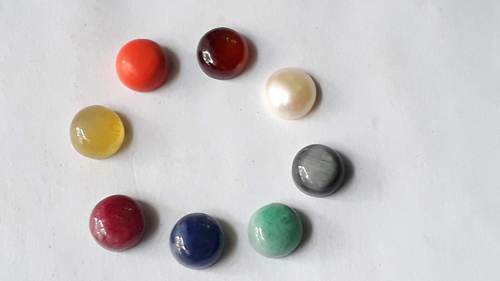 We can also manufacture customize designed in any kind of Stones shapes and sizes as per the needs of the clients on very competitive price range. These Stones are ready to use.